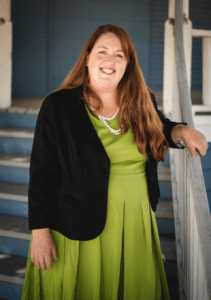 Casey D. Martin earned her law degree from Santa Clara University School of Law in 2003. She completed her undergraduate work at Occidental College in Los Angeles, where she majored in Public Policy and minored in Spanish Cultural Studies. Martin spent a semester of college in Washington, D.C., where she interned at the White House. She also studied in Madrid, Spain. Her time in Spain helped develop her Spanish comprehension and has allowed her to offer legal services to Spanish-speaking clients. After college, Martin’s career in law started in 2003 at Burton, Volkmann, & Schmal in Santa Cruz, where she worked as an Associate in civil litigation and government tort liability. Her next position was with McCormick Barstow in Fresno as an associate specializing in commercial litigation and insurance coverage. In June 2006, she moved to the Fresno County District Attorney’s Office and worked as a deputy district attorney. While there, she prosecuted a number of felony matters through trial, headed the Truancy Intervention Grant and gave lectures on truancy prevention to law enforcers, school districts, and the public. Martin belongs to many organizations. Among them are the California DUI Lawyers Association, California Women Lawyers Association, Fresno County Women Lawyer’s Association, Kings County Bar Association and the National Association of Defense Attorneys. Jeffrey W. Peterson was born and attended high school in Fresno, CA. He graduated from Mercer University’s Walter F. George School of Law-located in Macon, Georgia-in 2014. His undergraduate work was completed at Reed College in Portland, OR where he majored in Comparative Religion. In 2008, he earned a Master’s degree in Eastern Classical Literature from St. John’s College in Santa Fe, NM. These early educational achievements provided Mr. Peterson with a deep understanding of the Liberal Arts and cultivated his appreciation for virtue. In the summer of 2013, Mr. Peterson traveled to Shanghai, China with Santa Clara University School of Law to study Comparative Civil Jurisprudence. This study afforded Mr. Peterson a unique perspective on the intricacies and nuances of negotiation and dispute resolution. 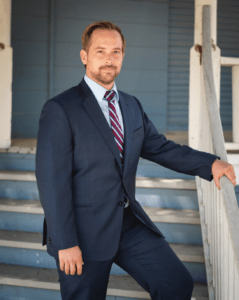 After returning to California, Mr. Peterson began working with The Martin Law Firm in early 2018. He has worked extensively in the field of Family Law and Criminal Defense. Mr. Peterson’s international experience, diverse background, and dedication to Truth positions him to excel at understanding the needs of his clients in order to better serve their interests.